Son Heung-min of Tottenham Hotspur scored his seventh and eighth goals of the English Premier League season on Sunday in Spurs' crushing 6:2 win over Everton. The win also gives Spurs their fourth straight victory. Son's goals in the 27th and 61st minute, along with his assist in the 74th, prompted WhoScored.com to give Son a 9.9 match rating, the highest he's received this season. With three points against Everton, Tottenham is just two points behind Manchester City in second, and six points behind Liverpool at the top of the league. 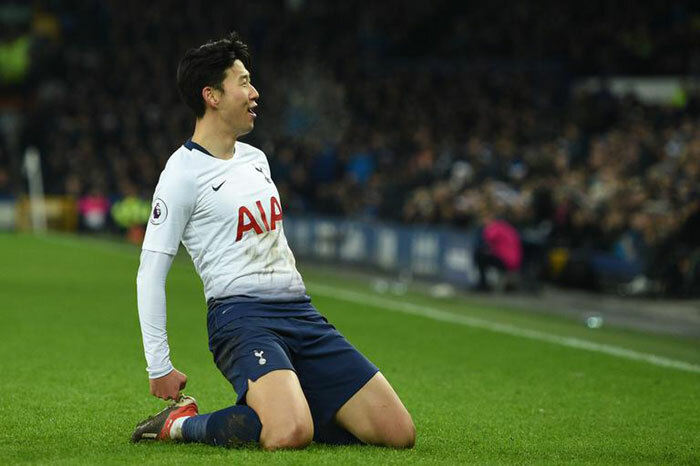 With the Spurs winning just two league titles in their history -- the last in the 1960-1961 season -- Son is desperate to keep his hot streak going and lead his team to EPL glory.